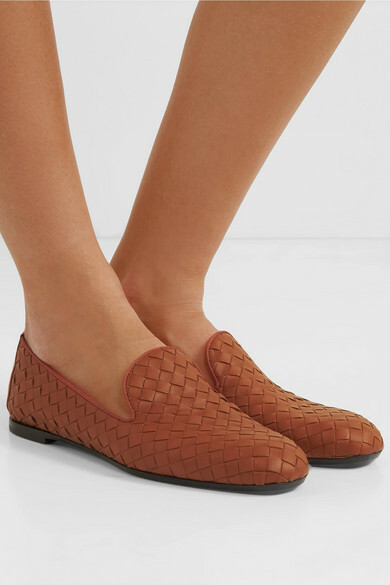 Neutral hues are one of Spring '19's biggest trends and Bottega Veneta's tan loafers are a really timeless way to wear them. 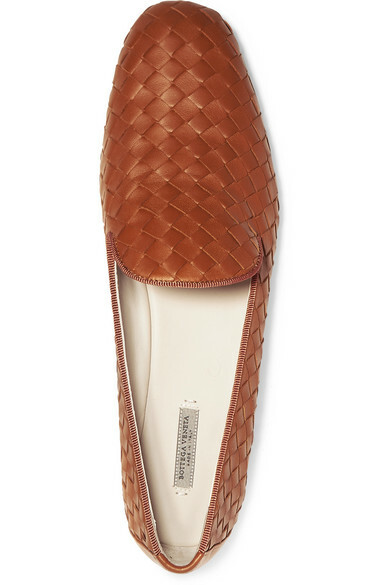 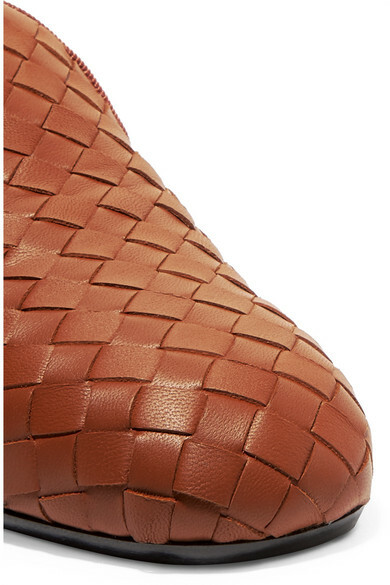 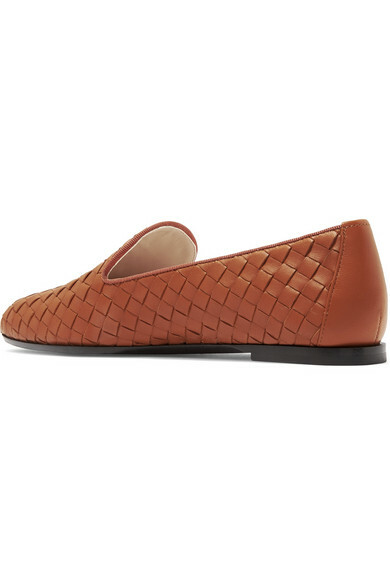 They're woven from hand-cut strips of tan leather and piped in matching grosgrain. 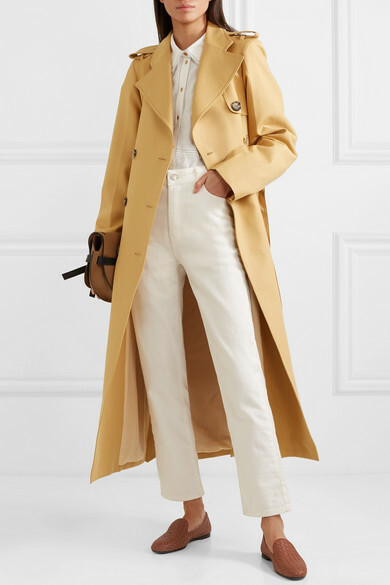 Shown here with: Khaite Trench coat, Khaite Jeans, REJINA PYO Shirt, Loewe Shoulder bag.